Promises are made every day to collectors – what is important is that they are followed up on promptly. Any sense of urgency or authority goes out the window if a deadline or scheduled arrangement is missed, and there is no follow up. Back in the day of index cards and daytimers, collectors would track promise payments with a folded corner or a note on a specific date, and it would prompt them to follow up on arrangements – and that’s important. If a cheque is being couriered out on the 24th of February, the collector needs to call on the 24th to get a waybill number. If there was a missed arrangement for a bank transfer at 4:00 pm, there should be a follow up call at 4:15 pm to find out why it hasn’t been done. Depending on the contact management software your company uses, you can schedule alerts or reminders for yourself to follow up. However, even with the aid of computer software, sometimes the old ways had the right ideas. Regardless of your system, you should organize yourself to track and follow up on arrangements. 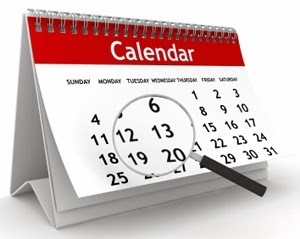 1) If an arrangement is made more than three business days in advance, schedule a follow up reminder call for the day before or the day of to re-confirm the schedule and remind the consumer of the arrangement. 2) At the beginning of the work day, know which arrangements needs to be followed up with through the day, and know what times they need to be called. 3) If an arrangement is missed, it should be a priority to follow up and find out why the arrangements weren’t kept. Now, everyone is going to have broken arrangements – however, inexperienced collectors don’t have a plan to deal with them – either they come down far too hard and create a confrontational situation that negates any rapport or constructive communication, or they are too lenient, wiping out any sense of authority they have established. If you have a work plan on how flexible you can be on arrangements, with absolute boundaries and consequences (hopefully established up front, and we talk about that here). If you are tracking your arrangements, and failed arrangements, it’s a simple bit of math at this point to track your personal effectiveness – do all your month-end arrangements fail? Are you more successful with high balance arrangements than low-balance arrangements? If you can find a pattern to where you succeed and fail, you can find areas to improve, or changes you need to make to your negotiation style. Often organization and file management is what sets aside effective collectors – if you aren’t aware of your payment arrangements, the total of promises and arrangements, and what your follow-through ratio is, it’s time to run some reports and crunch some numbers to be more effective. Or, go buy a daytimer and do it old-school. File management and scheduling is an important aspect of our APPRAISE recovery program. If you are a interested in speaking about contact management software, scheduling, or evaluating arrangements, by all means contact my office to speak with me. My office number at Kingston Data and Credit is 226-946-1730.